Kuala Lumpur, 4th October 2007: We stole their folk song. They blanket us with haze, robbing us of blue skies and fresh air ever so often. It was reported last week that there were over 300 hotspots in Sumatra alone. 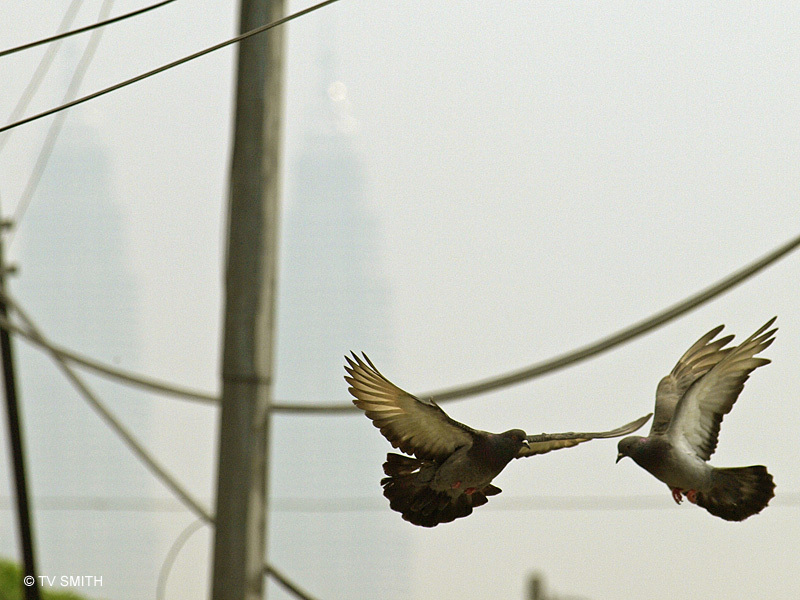 The Malaysian Meteorological Department said they were not worried about the haze coming to Malaysia. Maybe our weathermen are like the pair of love birds above. Happy and in love, unconcerned about the pair of disappearing towers behind them. This picture was taken this afternoon at about 4km away from KLCC.